In one of her first acts as a startup investor, actress Priyanka Chopra recently toured the San Francisco home of her new portfolio company, a coding education company called Holberton School. The campus resembles a WeWork more than a school, with open-plan rows of desks, decorative neon lights and meeting rooms named after famous people. The school uses projects and group learning instead of more traditional courses, to teach software development. “You just hang out and you’re ..
Chopra, 36, has been doing a lot of hanging out and learning in technology circles lately. In between presenting at the Emmys, sitting in the front row at New York Fashion Week, celebrating the birthday of her fiancé, Nick Jonas, in Texas, and darting to her native India to act in a movie, she has squeezed in meetings with startup founders and lined up future investments. “Geeks are taking over the world,” Chopra said. “If they haven’t already,” she quickly added. Chopra plans to promote the school to her fans as well. “If one day, because of Priyanka, it became 100 percent women, I’d be cool with that,” Acharia said. Founded in 2015, Holberton teaches students to code for free, then charges 17 percent of their paycheck for 3 1/2 years after they graduate. All of its graduates have found jobs. Chopra’s investment is part of an $8.2 million round of funding for Holberton which closed in April. She will join the company’s board of advisers. ..
“I think Holberton was the gateway drug for Priyanka,” Acharia said. 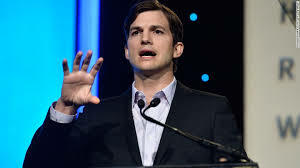 Kutcher’s venture firm, Sound Ventures, is often cited as the most successful example of a celebrity investing in tech startups. Kutcher’s investments, made while working alongside talent manager Guy Oseary, include several of this tech wave’s most successful startups, like Airbnb, Uber and Spotify, as well hot up-and-comers like Bird and Casper. “If you want to have a job, you’ve got to do the work. It takes time, and a ton of mistakes,” he said. Chopra said she found Kutcher’s investment approach inspiring. “I’m extremely open to listening, learning and absolutely dedicating a part of my life to this,” she said. Acharia plans to keep presenting her with new investment ideas. “Maybe we’re the new Ashton and Guy,” she said.